Are the roads safe enough for you to ride on? Following a tragic spate of cycle deaths on London’s streets, the question of safety for both bicycles and motorbikes has never been more important. In an attempt to tackle the problem, the capital’s police force launched a prolonged campaign to make both drivers and riders aware of the dangers of the road but has this made any difference? And are the UK streets safe enough for those travelling on two wheels. Though many people perceive motorbikes to be dangerous and their riders to be reckless, in reality motorbikes themselves are pretty safe. In fact, you’re around 20 times less likely to be seriously injured riding a motorbike than a horse. However motorbikes suffer a disproportionately high number of accidents when compared to cars with around 35 crashes per 100 million miles compared to just 1.7 crashes per 100 million miles for cars. There are a number of causes for this, with increased speed, inadequate safety wear and careless driving all playing a part. With around 80% of motorbike crashes resulting in serious injury or death (compared to just 20% for cars) this is a statistic that urgently needs to change. Have the roads become safer? 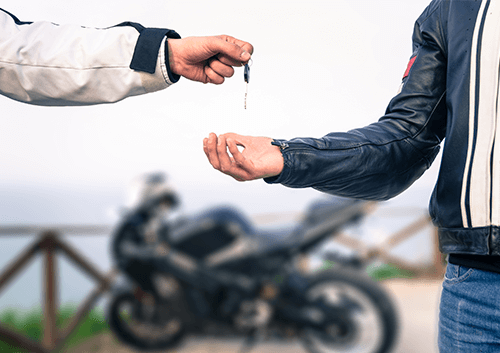 The good news for those who choose to ride on two wheels is the fact there is consistent evidence to prove that Britain’s roads are becoming safer and car drivers more aware of motorcycles and their riders. 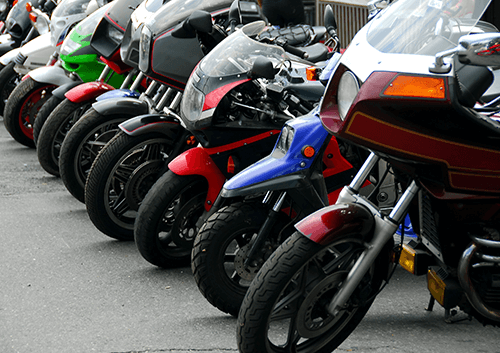 In 2008, around 493 motorcyclists were killed in the UK with another 5,556 seriously injured. By 2012 this figure had dropped to 328 motorcyclists killed and 5,000 injured. Though this is a step in the right direction, some say it’s not happening fast enough and that much more still needs to be done to protect these vulnerable road users. How can you improve your safety on Britain’s roads? If you’re a keen biker ready to get out on the roads then it’s important you understand how to stay safe whilst enjoying your freedom. Here at We Want Your Motorbike we understand that a motorbike is more than just a mode of transport but that doesn’t mean safety can be ignored. • Wear appropriate protective clothing – bright or fluorescent clothes should be worn at all times but especially when riding at dusk or during the night. Protective jackets, gloves, boots and trousers are also essential items with crash helmets arguably the most important inclusion and a legal requirement. • Choose the right helmet – this is probably the most crucial safety step you can take. Seek expert help if unsure and find a helmet which offers a snug fit and fastens securely. Helmets should be replaced regularly and especially after any crash or accident where an impact may have undermined the structural integrity. • Adapt how you ride – another crucial part of road safety, make sure you’re aware of other road users and try your best to anticipate their actions. 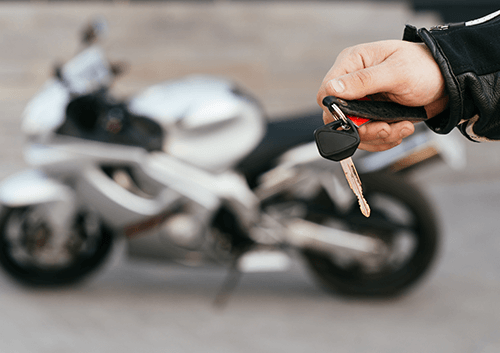 All too often drivers don’t check for bikes, so try to think about what the vehicles around you are going to do next and be prepared to react to their manoeuvres. By choosing the correct safety gear, riding defensively and being aware of other road users, you can increase your safety enormously. Don’t put yourself at risk, get protected and get safe!